Enjoy a glass of wine as you enjoy the game! A wine glass with sophisticated styling that works great with whites reds or a mimosa. 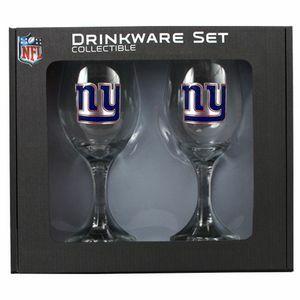 The wine glass is available in all NFL and MLB teams. An 8.5 in tall glass holding 14 oz will show your New York Giant pride.